The weeks around Christmas and New Year’s are the top times for engagements and the first questions from friends and family are “when?” and “where?” If at all possible, you should choose the “where” first so you’ll know it’s available for the date you choose. We look forward to hearing from you so we can answer your questions and, hopefully, meet you for a tour of our beautiful house and grounds. You’ll find we have some great options for the wedding of your dreams—summer, fall, spring or winter? casual or formal? inside or outside? 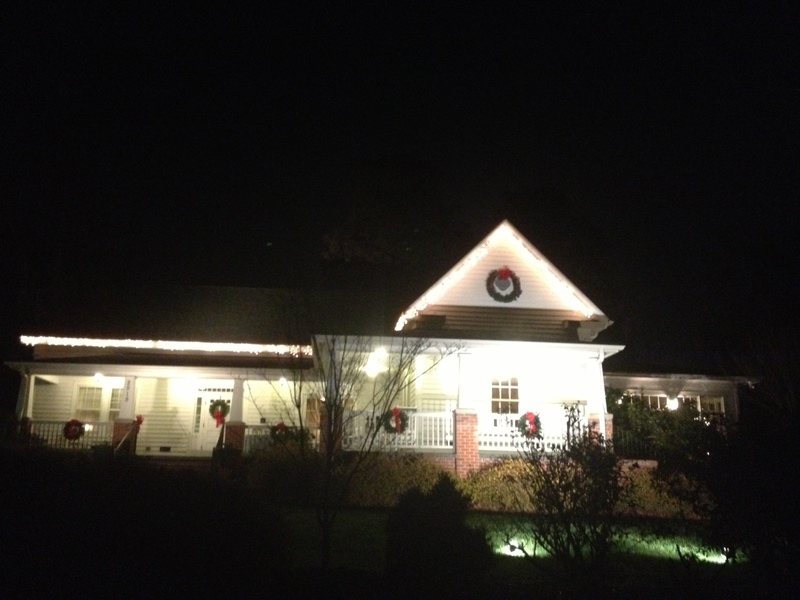 We are so excited about the Christmas season at the Rand-Bryan House and all the wonderful events we will host this month! Our elves finished decorating just in time for us to kick off the holidays with the Creech Road Elementary staff yesterday and then the Raleigh Rescue Mission and Allied Telesis parties today & tonight. Next up…2 special couples will celebrate their weddings here this weekend. We hope you’ll get in touch with us to discuss your Christmas event for 2015.